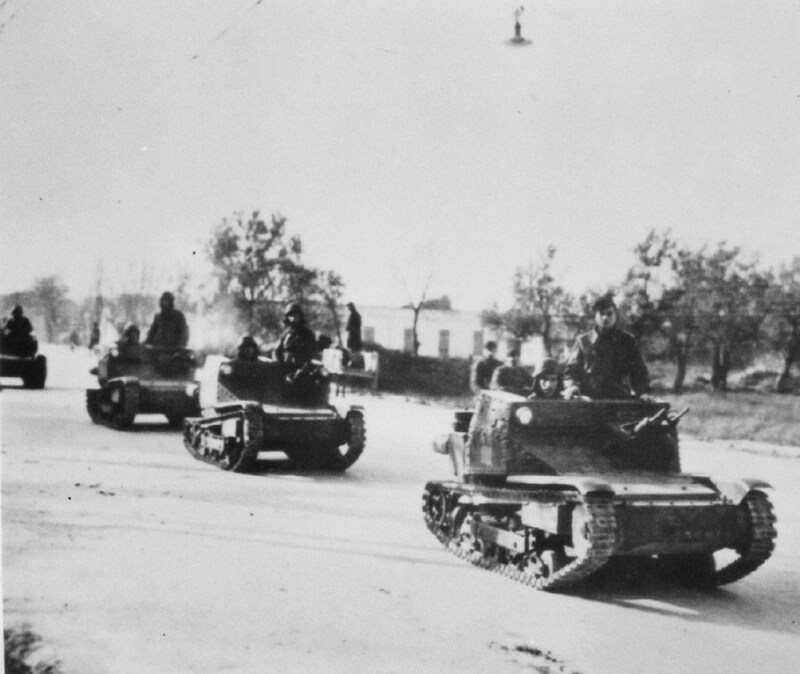 Among the armour the Italians deployed in Albania were these L3/33 tankettes. Italian artillery in action during the campaign in Albania. There is no doubt that Mussolini was jealous of Germany’s annexation of Austria, so it came as no surprise when he asserted Italian control over Albania by sending in troops on 7 April 1939. This action prompted the Prime Minister of Britain, Winston Churchill, to offer to support the sovereignty of both Greece and Rumania should they be threatened and a month later a similar offer was made to Turkey. Not that that this was of any benefit to Rumania as in June, with Hitler’s encouragement, Bulgaria, Hungary and Russia stripped it off its frontier provinces. As a sign of things to come the governor of Albania began agitating the Greeks on behalf of the Cham Albanian minority in Greek Epirus. After the headless body of an Albanian bandit was discovered near the village of Vrina he blamed the Greeks and began arming some of the Albanian irregular bands. It was therefore just a matter of time before Mussolini made his next move against Greece. Neither the Italian nor the Soviet Government received official notification of the entry of German troops into Romania. This was all the more surprising to Mussolini because Italy and Germany had given a joint guarantee to Romania. He was very indignant about being faced with a fait-accompli and decided to pay Hitler back in his own Coin by attempting to seize Greece Without giving official notice to Germany. Mussolini expected that the occupation of Greece would be a mere police action, similar to Germany’s seizure of Czechoslovakia in the spring of 1939. On two preceding occasions Hitler had agreed that the Mediterranean and Adriatic were exclusively Italian spheres of interest. Since Yugoslavia and Greece were situated within these spheres, Mussolini felt entitled to adopt whatever policy he saw fit. ‘There was no reason why the man who had revived the Triage Nostrum concept should hesitate to demonstrate to the entire world that his twentieth Century Romans were as Superior to their Mediterranean rivals as their ancestor s had been to the Greeks 2,00 years ago. In Mussolini’s opinion one of the main attractions of an attack on (Greece was that Italy would not have to depend on Germany s assistance for the execution of such all operation. On 15 October he decided to invade Greece, although he knew that the Germans would disapprove. The attack was launched on 28 October, and the almost immediate setbacks of the Italians only served to heighten Hitler’s displeasure. What enraged the Fuehrer most was that his repeated statements of the need for peace in the Balkans had been ignored by Mussolini. The German military experts also disapproved the Italian plan of operations, but for other reasons. In their opinion any campaign in the Balkans would have to be executed in a manner similar to the one applied by the Germans in the campaign in Norway. The strategically important features would have to be seized in blitzkrieg fashion. In the Balkans these points were not situated along the Albanian border but in southern Greece and on Crete. The Italian failure to capture Crete seemed a strategic blunder, since British possession of the island endangered the Italian lines of communication to North Africa and assured Greece of a steady flow of supplies from Egypt. Moreover, the British bombers were now within range of the Romania oil fields that the Germans had secured at such great effort. Hitler’s decision to intervene in the military operations in the Balkans was made on 4 November, seven days after Italy had attacked Greece through Albania and four days after the British had occupied Crete and Limnos. He ordered the Army General Staff to prepare plans for the invasion of northern Greece from Romania via Bulgaria. The operation was to deprive the British of bases for future ground and air operations across the restive Balkans against the Romanian oil fields. Moreover, it would indirectly assist the Italians by diverting Greek forces from Albania. The plans for this campaign, together with the projects involving Gibraltar and North Africa, were incorporated into a master plan to deprive the British of all their Mediterranean bases. On 12 November 1940 the Armed Forces High Command issued Directive No. 18, in which Hitler outlined his plan for the conduct of future operations to the three services. He first mentioned that Vichy France was to be given an opportunity for defending its African possessions against the British and Free French. Gibraltar was to be seized and the straits closed, while at the same time the British were to be prevented from landing elsewhere on the Iberian Peninsula. German forces were to support the Italians in their offensive against Egypt, if and when the latter reached Mersa Matrull. The Luftwaffe, in particular, was to make preparations for attacking Alexandria and the Suez Canal. The Army was to ready ten divisions for the seizure of northern Greece, possession of which would permit German flying formations to operate against British air bases in the eastern Mediterranean and thus protect the Romanian oil fields. One incident that the Greeks blamed on Italy was the torpedoing and sinking, with heavy loss of life, of their cruiser Helle by a submarine on 15 August 1940 when she was anchored off Tinos. Though taking no action against Italy, the President of the Greek Council, General Ioannis Metaxas, did ask what help Greece could expect from Britain; not that Churchill could offer much, other than naval support. The situation deteriorated further the following month when Italy sent three more divisions to Albania. This led Britain to discuss the possibility of a coordinated defence of Crete but the Greeks would not allow any landings on their soil without a declaration of war. Nor did the Italians have much luck either in their discussions with Germany. When they sought German support for an attack on Jugoslavia, Adolf Hitler was adamant that he did not want to see the war spread to the Balkans. As a result Mussolini switched his attention to Libya and on 13 September launched his forces on a drive into Egypt. Not that he turned his back on Greece entirely but, assured by the governor of Albania that there would be no difficulty in securing Epirus and Corfu if he decided to attack Greece, he drew up plans for the invasion. In preparation for this three more divisions were dispatched in September. Nevertheless, by October Mussolini had started to waver in his plans and it was only after Hitler sent a strong military mission to Rumania that he became aware of Germany’s true interest in the Balkans and finally resolved to proceed with his plans to invade Greece. Thus it was at 3 am on the morning of 28 October that the Italian minister in Athens presented the Greek government with a note charging them with having systematically violated their neutrality, particularly with respect to their dealings with the British, by allowing their territorial waters and ports to be used by the British navy and their refuelling facilities to be used by the RAF. Metaxas’ immediate response was to reject these demands, with the result that 3 hours later the first Italian troops crossed the frontier into Greece. The British response to this was to send a naval flotilla into the Ionian Sea on 29 October. It sailed as far as Corfu before returning to the west coast of Crete to await the arrival of a force charged with garrisoning Crete and setting up a naval refuelling base in Suda Bay. This force had been dispatched the same day from Alexandria carrying the 1st Battalion of the York and Lancaster Regiment. They arrived on 1 November and were followed soon after by what anti-aircraft, engineer and ancillary units the Commander in Chief of the Middle East, General Archibald Wavell, had reluctantly agreed to release. At that stage the only airfield was at Heraklion, 70 miles to the east, and too far away to provide air protection for the naval base so work began on another airfield for fighter aircraft at Maleme. Pleased with these moves, the Greeks withdrew the Crete Division from the island. However, their concern with the non-appearance of British aircraft prompted the British to arrange for the dispatch of Blenheims from 30 Squadron and Gladiators from 80 Squadron, though the Greeks forbade them from being stationed any further north than Eleusis or Tatoi to avoid provoking the Germans. As it turned out the invading Italian forces were in for a rude shock. Expecting little resistance from the Greeks, the Italians launched their attack in the Epirus sector on the Greek Elaia–Kalamas River Line, with a flanking attack in the Pindus Mountains. Starting in the morning, 51 Divisione di Fanteria ‘Siena’ and 23 Divisione di ‘Ferrara’ backed by the Centauro Armoured Division thrust towards Elaia, prompting the Greeks to begin a slow withdrawal in that direction. On 2 November, despite being under bombardment from the air and artillery, the Greeks easily fought off repeated attacks, while the tanks of the 131 Divisione Corazzata ‘Centauro’ wallowed in the marshy terrain. More success was had to their right as the Littoral Group, after a slow advance along the coast, secured a bridgehead over the Kalamas River on 6 November. On their left flank the 3 Divisione Alpina ‘Julia’ pushed through the mountains to capture the village of Vovousa but was unable to secure the critical pass at the town of Metsovo. Unfortunately at this point disaster struck when their troops found themselves entirely cut off by the arrival of Greek reserves and were virtually wiped out in the subsequent fighting. However, by then the fight had gone out of the Italians and on 8 November their offensive came to a halt. At this point the Greeks responded by launching a counter-offensive on 14 November. With in a week they had captured Koritsa and Leslovik and re-crossed the Kalamas River. To add insult to injury they not only regained their lost territory but carried the war into Albania, penetrating deep into the mountains in the northwest of Koritsa. In the south they took the port of Santa Quaranta, thus restricting the Italians to the port of Durrës and the size of the forces they could keep in the field. In the centre the Greeks made good progress towards Berat and by 10 January 1941 had secured Klissoura, though were still short of their goal of taking Tepelene. By now, however, the weather, with frequent blizzards, was taking its toll on their troops, with cases of frostbite common. This was not the only reverse Mussolini suffered. In North Africa the British launched their counter-offensive which not only drove the Italians out of Egypt but by January 1941 saw them in headlong retreat along the Cyrenaican coast. The British were not slow to respond to the fighting in Albania but reacted in quite a different way. Noting the reluctance of the Italian fleet to force the issue at sea, Admiral Cunningham decided instead to launch an attack on the Italian battle fleet in Taranto harbour. Originally planned for Trafalgar Day, 21 October, the attack had to be deferred till 11 November thanks to a fire in the hangar of HMS Illustrious. The attack was carried out in two waves that night, two aircraft dropping flares east of the anchorage and bombing the oil storage depot, while Fairy Swordfish torpedo bombers, coming in from the west, attacked the main anchorage. As a result, two ships were hit and damaged for one aircraft lost. The second wave arrived at the harbour around midnight, hitting one additional ship, also losing one aircraft. By the end of the attack half of the Italian capital ships had been put out of action, two for at least six months. The success was not confined to this as later that night a raiding force sank another four Italian merchant ships in the Adriatic Sea. The operations against Gibraltar and Greece were scheduled to take place simultaneously in January 1941, while the German offensive in North Africa was to be launched in the autumn of that year. The inversion of the British Isles was also mentioned in this directive, the target date of which was tentatively scheduled for the spring of 1941. The particular difficulty involved in the execution of some of these plans was that the German Army was supposed to conduct operations across the seas even though the Axis had not gained naval superiority in the respective areas. On 4 November even Hitler had voiced doubts as to the advisability of conducting offensive operations in North Africa, since Italy did not control the Mediterranean. That these doubts were well founded became apparent when, on 6 November, British naval fir forces inflicted a severe defeat on the Italian Navy at Taranto. I wanted, above all. to ask you to postpone the operation until a more favorable season, in any ease until after the presidential election in America. In any event I wanted to ask you not to undertake this action without previously carrying out a blitzkrieg operation on Crete. For this purpose I intended to make practical suggestions regarding the employment of a parachute and of an airborne division. After enumerating the psychological and military consequences of the Italian failure in Albania, the Fuehrer suggested a number of countermeasures to restore the situation. Spain would have to be induced to enter the war as soon as possible ill order to deny the British the use of Gibraltar and to block the western entrance to the Mediterranean. Every possible means would have to be employed to divert Russia s interest from the Balkans to the Near East. Special efforts would have to be made to arrive at an agreement with Turkey whereby Turkish pressure on Bulgaria would be relieved. Yugoslavia would have to be induced to adopt a neutral attitude or, if possible, be led to collaborate actively with the Axis in solving the Greek problem. In the Balkans any military operation that was to lead to a success could be risked only after Yugoslavia’s position had been fully clarified. Hungary would have to grant permission for the immediate transit of sizable German units destined for Romania. The latter country would have to accept the reinforcement of the German troops guaranteeing the protection of its territory. Hitler then continued by stating that he had decided to prevent any British buildup in northeastern Greece by force, whatever the risk may be. In his reply of 29 November Mussolini expressed his regrets about the misunderstandings with regard to Greece. The Italian forces had been halted because of bad weather, the desertion of nearly all the Albanian forces incorporated into Italian units, and Bulgaria’s attitude, which permitted the Greeks to shift eight divisions from Thrace to Albania. In December 1940 the German plans in the Mediterranean underwent considerable change when, at the beginning of the month, Franco rejected the plan for an attack on Gibraltar. 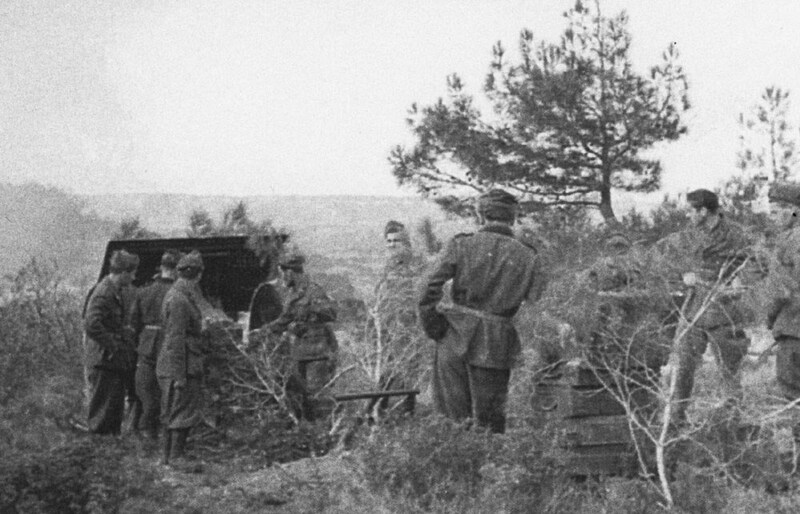 Consequently, German offensive planning for southern Europe had to be restricted to the campaign against Greece. Upon insistence of the Luftwaffe, the entire country was to be occupied, not just the northern provinces. For this purpose the Armed Forces High Command issued Directive No. 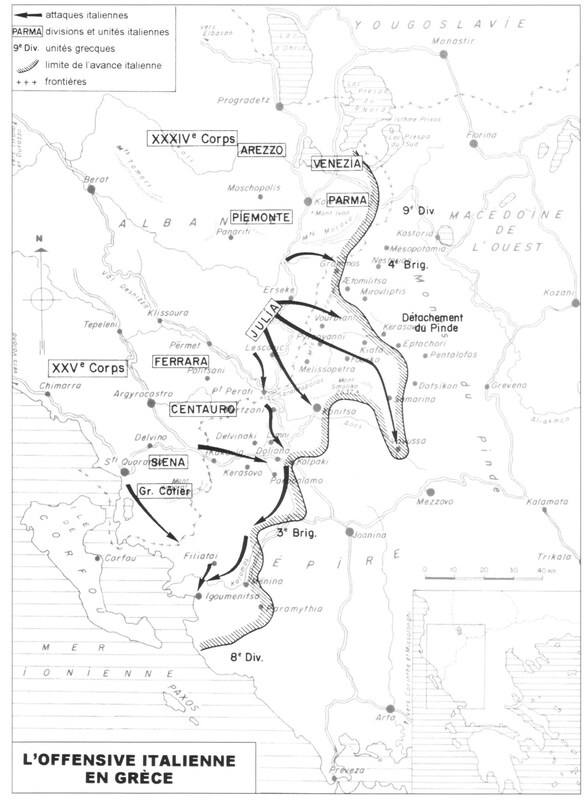 20, dated 13 December 1940, which outlined the Greek campaign under the code designation, Operation MARITA. In the introductory part of the directive Hitler pointed out that, in view of the confused situation in Albania, it was particularly important to thwart British attempts to establish air bases in Greece, which would constitute a threat to Italy as well as to the Romanian oil fields. 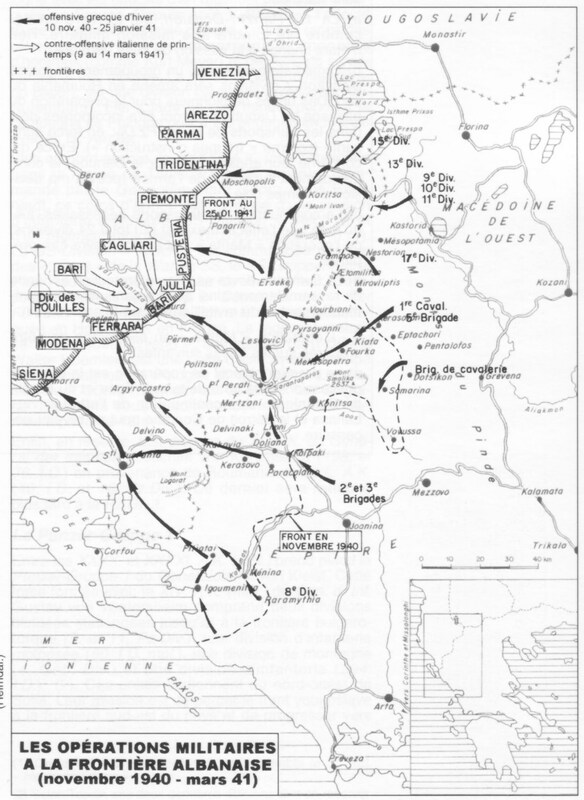 To meet this situation twenty-four German divisions were to be assembled gradually in southern Romania within the next few months, ready to enter Bulgaria as soon as they received orders. In March, when the weather would be more favorable, they were to occupy the northern coast of the Aegean Sea and, if necessary, the entire Greek mainland. Bulgaria’s assistance was expected; support by Italian forces and the coordination of the German and Italian operations in the Balkans would be the subject of future discussions. The Luftwaffe was-to provide air protection during the assembly period and prepare bases in Romania. During the operation the Luftwaffe was to neutralize the enemy air force, support the ground forces, and whenever possible capture British bases on Greek islands by executing airborne landings. Meanwhile, the Luftwaffe was to assist the Italians in stabilizing the precarious situation on the Albanian front. This was to be accomplished by airlifting approximately 30,000 Italian troops and great quantities of equipment and supplies from the Italian mainland to Albania. Even though Hitler had decided to attack Greece, he wanted to tread softly in the Balkans so as not to expand the conflict during the winter. If Turkey entered the war against Germany, the chances for a successful invasion of Russia would diminish because of the diversion of forces such a new conflict would involve. Moreover, at the beginning of December 1940 the British launched an offensive from Egypt and drove the Italians back to the west. Toward the end of the month the situation of the Italians in Libya grew more and more critical. By January 1941 their forces in North Africa were in danger of being completely annihilated. If that happened, Italy with its indefensible coast line would be exposed to an enemy invasion. To forestall such disastrous developments, German air units under the command of X Air Corps had previously been transferred to Sicily, and the movement of German Army elements to Tripoli via Italy was begun immediately. In February initial small contingents of German ground troops arrived in North Africa, and the critical situation was soon alleviated. The first German troops to arrive were elements of a panzer division under the command of General Erwin Rommel. Hitler ordered these forces to protect Tripoli by a series of limited-objective attacks, thus relieving the pressure on the Italian troops. The political objective of this military intervention was to prevent Italy’s internal collapse which would almost certainly result from the loss of her African possessions. This entry was posted in Germany, Italy, Operations by MSW. Bookmark the permalink.